Andy Serkis’ fantasy-adventure adaptation ‘Mowgli: Legend of the Jungle’, out on Netflix on Friday, has been aggressively dubbed the dark version of ‘The Jungle Book’ as compared to the 1967 Disney version— but how fair is that assessment? To hear it from the English director-actor himself, Disney’s famed animation took more creative liberties in lightening up the source material, penned by Rudyard Kipling in the 19th century, than his latest version took in darkening it. 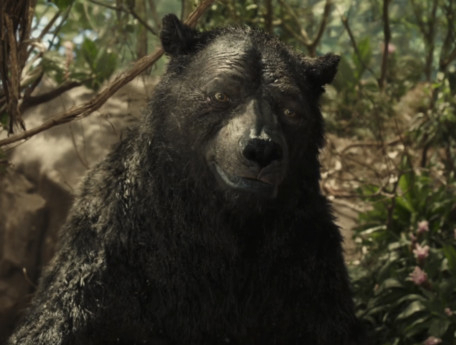 Serkis’ adaptation, much like its predecessors, tracks an orphaned and feral Mowgli (Rohan Chand), raised by a wolf pack in the jungles of India under the guidance of a bear named Baloo (Serkis himself) and a panther named Bagheera (Christian Bale). Danger simmers as he comes up against the hostile tiger Shere Khan (Benedict Cumberbatch), as well as the truth about his human origins. Tonally, it took a page out of Kipling’s book. “Really, if you try reading the Jungle Book, it’s complex. You try reading it as a child, it’s hard work, because of the language and the complexity of the journey and the characters. It’s very rich,” said Serkis. Serkis, who began his directorial journey as a second unit director on Peter Jackson’s ‘The Hobbit’ franchise (“[Peter] was a fantastic mentor and a wonderful human being,” he said), had a cinematic yet grounded vision for the film — something he thought would work well for a Netflix release. “I was more interested in looking through the eyes of the animals, than looking through the eyes of the jungle. 70 per cent of the movie is close-ups of the animal. It works really well on the smaller screen,” said Serkis. “This is a drama. This wasn’t ever going to be the huge [thing] with cameras whirling about, it was shot in a very simple, classic way,” he added. Moreover, Serkis didn’t want to shy away from Kipling’s “dubious, conflicted reputation” with his adaptation. “Because of course, on one hand [Kipling is] the most beloved author of his generation, and also, considered a borderline racist, imperialist, inviting poems like ‘The Black Man’s Burden’. You can’t make this film without engaging with politics and with, on a mild level, the culturally specific nature where it’s set, India, which we did and some other versions don’t really touch,” said Serkis. Serkis’ ambitious, big-budget reincarnation of the film began to shoot four years ago. It was set to premiere in 2016, but Warner Bros. Pictures sold the rights to streaming giant Netflix. On Friday, the performance-action feature will finally get its release. “What I’ve been through has been quite an exceptionally long process. I don’t think there are many films that take this long to make. [Maybe] ‘Gone with the Wind,’” quipped Serkis. The delay came down to several factors. One was the announcement of Disney’s 2016 live-action Jungle Book remake, helmed by Jon Favreau, “which was fine, because I knew that there was no way we would be crossing over, that these films would be entirely different,” said Serkis. And then there was Serkis’ own busy schedule, from acting in ‘Black Panther’ and ‘Planet of the Apes’, to simultaneously cutting ‘Mowgli’ and ‘Breathe’, his directorial debut. There was also the fact of getting the feel and look of the movie just right. “That was one of the things I was actually adamant about, that we wanted to design the animals in a particular way. That they weren’t going to just be [photorealistic] animals, they would be animals that can express human emotions. That took time,” said the filmmaker. After all, the film was telling a metaphorical and allegorical story that reflected the human condition, with Mowgli’s inability to fit into either the world of animal or the world of man, and his subsequent journey of self-discovery. Filmed in the soundstages of England (dressed up in plants from nurseries in Italy and Spain) and the wilderness of South Africa, ‘Mowgli’ uses performance-capture technology to intricately animate the movements of real actors; in this case, turning Serkis into a sloth bear, Bale into a black panther, Cate Blanchett into a python and Cumberbatch into big cat Khan. It allowed a more organic experience for the cast than, say, an abundance of green screens. 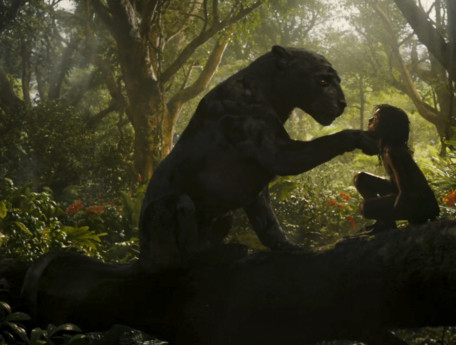 Rohan Chand, the 14-year-old newcomer who embodies Mowgli, was only the third person to audition for the role (“We were incredibly fortunate, because I fully expected to search through thousands of children to play this role,” recalled Serkis). A young American actor of Indian descent, Chand underwent physical and agility training for Mowgli, who often travels on all fours. “I camped out with wolves in upstate New York to see how the wolves interact without human interference, and I really tried to incorporate that with Mowgli’s behaviours,” said Chand. He was 10 years old when the movie began to shoot in 2014, and held fond memories of shooting in a real jungle. “There was one monkey who came and started eating prop rice from the set, and I think there were 80 or something snakes, and we were running around in bare feet and everything, and South Africa is home to some of the most dangerous snakes in the world,” said Chand. “He really took a journey. Physically, he had to work really hard. Emotionally, he put himself through it and I put him through it,” said Serkis. And despite the film’s PG-13 rating, Chand believes that, in today’s day and age, it’s suitable watching for children as young as nine years old. “We have really been exposed to adult situations much earlier on in life, you know, with the news and everything — it’s pretty dark stuff. So with this, I think you can really see it as a 10- or nine-year-old, and really enjoy it,” he said. ‘Mowgli: Legend of the Jungle’ streaming on Netflix from December 7.